Warmer weather is sneaking up on us which means it’s time for cold treats! 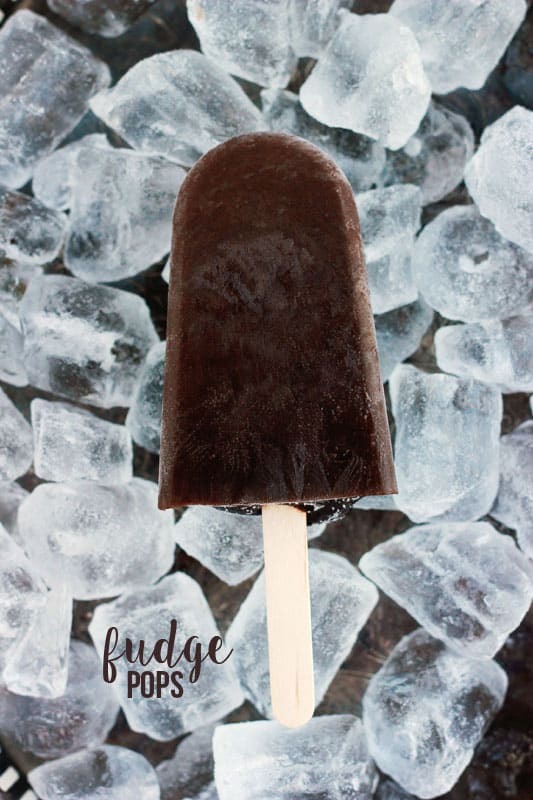 These Fudge Popsicles are a family favorite that we love to make all summer long! Truth time… I have a slight obsession with coconut which you have probably noticed on the site (many, many coconut recipes can be found here). This recipe came about when I had a few cups of vanilla coconut soy milk sitting in the fridge begging to be used before the expiration date. 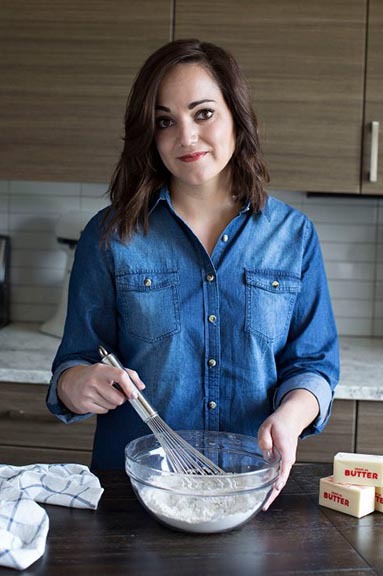 I decided to dig through the archives of must-make recipes and stumbled onto this one from Annie’s Eats. 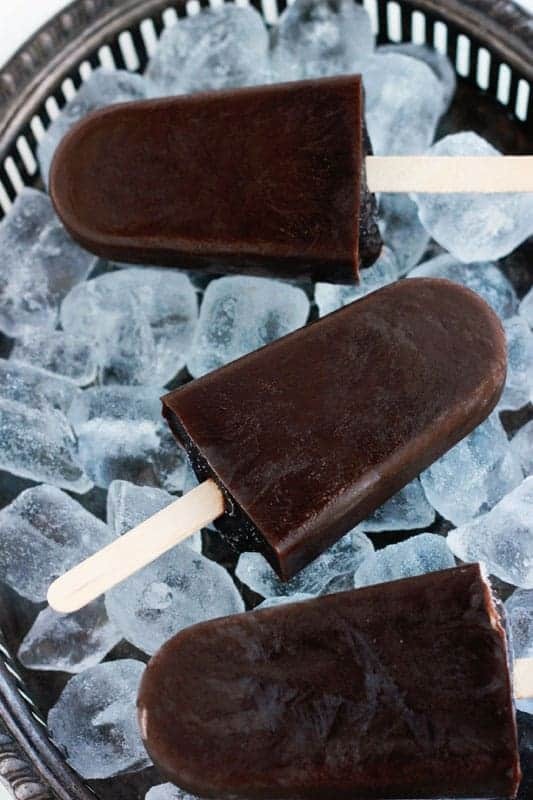 I mean really, who wouldn’t want to try a recipe that starts with dark chocolate and ends in a frozen pop that is this gorgeous? Since my milk was already sweet I decided to cut back on the sugar and that there was no need for the vanilla and butter. After melting some chocolate chips and whisking things together I had my popsicle molds filled with creamy goodness and ready for the freezer. The trick to getting your sticks to stay put is to put the molds in the freezer without them for about 30 minutes. This creates a more solid spot for you to stick them in and things hold in place much better. 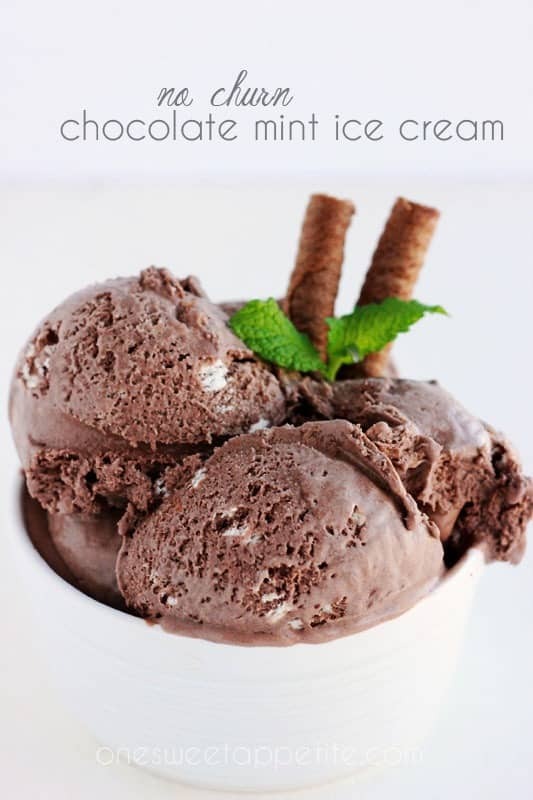 Freeze solid from there and you’ve got a sweet tooth fix ready to be devoured! One tip, try mixing things up and using half brown sugar or super dark chocolate. These easy substitutions can create a brand new flavor that will tickle your taste buds! My seven year old has declared these to be one of our must-have treats in the freezer. They are so easy that there is really no reason I wouldn’t have them on hand! Next time I make them I’m thinking it might be fun to add a little peanut butter for a Reese’s flavor! Melt the chocolate chips in a saucepan over low heat. Stir in the sugar, cornstarch, and milk. Heat until the mixture slightly thickens stirring consistently. 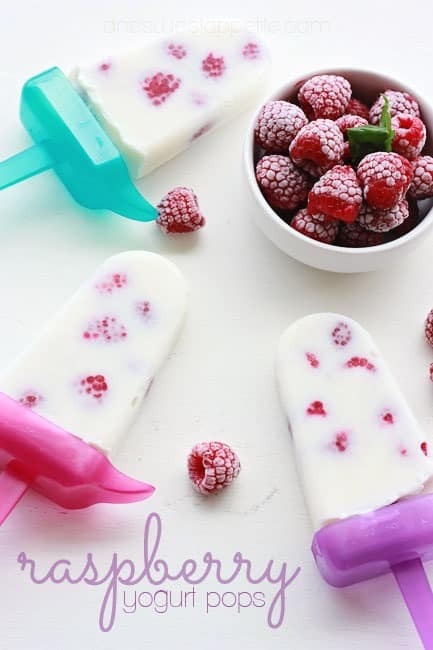 Remove from the heat and cool slightly and pour into Popsicle molds. Freeze 30 minutes and then add popsicle sticks. Continue to freeze until solid.